Of the entire region of Valle del Guadalhorce, Coín is the town with most connections to other towns, given its importance. It is located approximately 36 kilometres from the city of Malaga, which is why it is the ideal day out from the city. If you are travelling by car, take the A-357 to the exit to Cártama/Coín, and then continue along the A-355. Another option is to take the N-340 to then take the A-366. Coín is located between the Sierra de Alpujata and the centre of the Valle del Guadalhorce. If you are an outdoor sports enthusiast and enjoy hiking, the surrounding areas of Coín offer countless routes to be enjoyed on foot, by bike or on horseback. We highly recommend visiting the natural springs of El Nacimiento and Barranco Blanco, given their incomparable ecological value. The Ciudad del Cine (The Coín Film City) was a project that began in Coín some years ago and it is where a number of series and movies were filmed. Since its inauguration, it has been used to film both national and foreign productions. 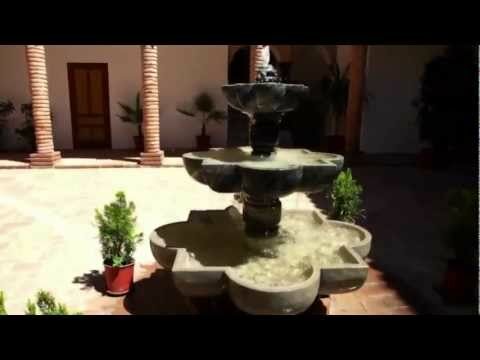 Since the production of the Andalusian series called Arrayán came to an end, a few other productions have been filmed there sporadically and it is currently offering various tourism activities that are bringing it back to life again. Given the local agriculture, the Fiesta de la Naranja (Orange Festival) is held in May, coinciding with the end of the harvest period. This celebration promotes the local products of Coín, where residents and visitors alike can sample dishes in which the orange is the star product, as well as additional activities and events. Coín is well-known for its fondness for the world of horses. And this is reflected in the two important events held throughout the year. The Concentración Caballista (Equestrian Gatherin) is held in October, and the Salón Andaluz del Caballo de Pura Raza (the Purebred Spanish Horse Exhibition) is held in April. The Traditional Dance and Flamenco signing festivals are held during the summer months. 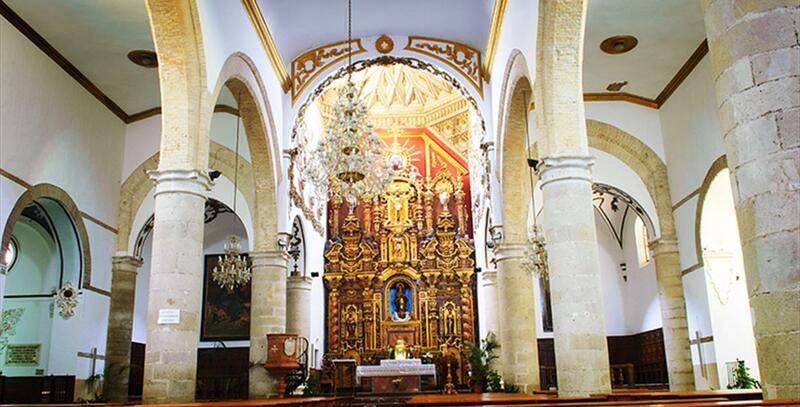 The patron saint of Coín is the Virgen de la Fuensanta and in May she is taken to her chapel in a pilgrimage in which locals and visitors take part. The following month, in June, the devout of the patron saint of Coín take her image to the sanctuary, with this journey being organised by means of a competition between the ox-pulled carts so the winner has the privilege of carry the image back to her normal chapel in the Iglesia. The Coín fair is held in August and it is divided into two areas, the daytime fair or, Feria de Día, in the centre of the town where you can enjoy tapas, drinks and even listen to a band or an orchestra. The Feria de Noche, held during the evening in the fairground, where there is a whole host of acts and rides for the whole family to enjoy. Oranges are the start product of Coín, given its excellent local produce. The sopa "hervía" or cachorreña (potatoes, cod and orange juice) is a typical dish of Coín, although other traditional specialities include, potajes, (stews), puchero (a creamy chickpea broth, with vegetables and meat), gazpachuelo (cod with boiled potatoes in a mayonnaise and lemon soup), pepper and tomato soup, mojete (salad with oranges, tomato, onion and olives) and gazpacho a chilled tomato soup using other products from the vegetable garden). Coín is famous for its oven-baked sweet potatoes which are also produced in the entire region, together with fig bread, traditional doughnuts or gachas con arrope (a soft pap made from flour with grape syrup). The area where Coín is located today has been inhabited by man since the dawn of time, as attested by the archaeological evidence from the Copper Age found in the mountains of Ardite and Carranque, and in Llano de la Virgen, an Asset of Cultural Interest. Remains from the Iron Age were unearthed in Cerro del Aljibe, while pieces belonging to Greek, Phoenician, Iberian, Roman and Visigothic settlements have been found in various points in the municipality. To these findings we should add the eighth- to tenth-century cave church pointing at the presence of a large Mozarabic community in the area. Under Islamic rule, Coín played a key role in in the military campaigns led by Abd-ar-Rahman III against the Christian leader Umar ibn Hafsun. Hish Dakwan – the village"s name in Arabic – reached its zenith between the thirteenth and the fifteenth century, becoming the administrative and judicial capital of Algarbía (Western Málaga). Authors like Ibn Battuta and Ibn al-Khatib described it as a land with lavish vegetation, abundant water and a mild weather. Hish Dakwan was seized by the Christians in 1485 – one of the most striking events in the conquest of the Nasrid Kingdom of Granada, as the local population fought tooth and nail. In the end, they succumbed. The forces of the Catholic Monarchs tore the fort down and divided the land. They also built their first church on the ruins of the grand mosque. It was the Church of Santa María de la Encarnación. 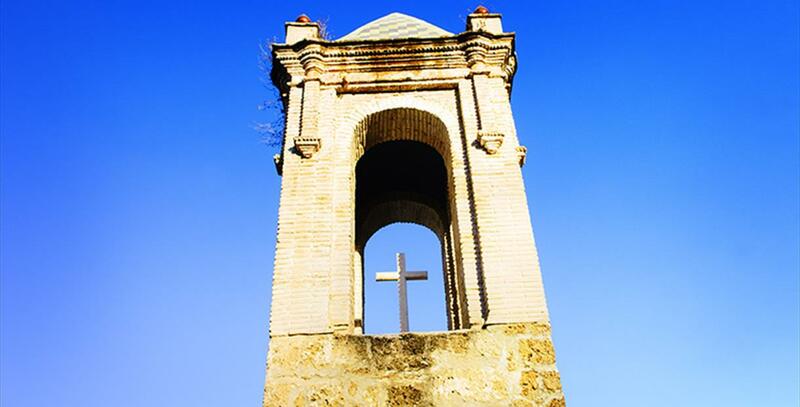 Some historians believe that both Christopher Columbus and Miguel de Cervantes visited Coín. The former was seeking support from the Catholic Monarchs for his trip to the Indies, while the latter worked as a tax collector for the King. In the seventeenth century, Coín was on the way to Spain"s overseas colonies, for it was a strategic point on the Royal Itinerary. In the eighteenth century, it had risen to prominence, courtesy of its commercial and agricultural activity. In 1773, the village had as many as 700 gardens producing all kinds of fruit and vegetables. In the early twentieth century (1913), Coín got its first railway line, linking it to Málaga City. In 1930, King Alfonso XIII granted this village in the Guadalhorce valley the town charter, allowing the city authorities to be referred to as "Your Excellency". The love story of Abindarráez and Jarifa is told in a sixteenth-century romance. He was Muslim; she was Christian. They chose to put their love above the interests of the communities they belonged to. One day, when he was visiting his girlfriend, Abindarráez was captured by a Christian knight, who nevertheless allowed him to see Jarifa for the last time, on the condition that he should go back to prison after the meeting. Abindarráez did as he was told. Surprised by the Moor"s honourable behaviour, the man set him free.